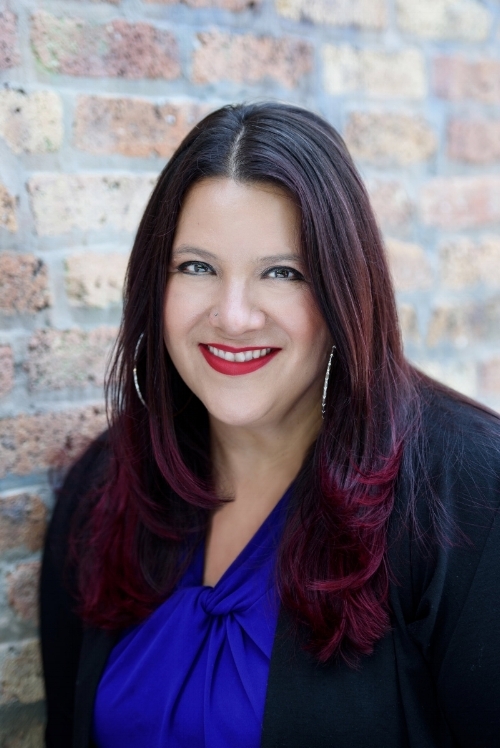 Sandra Van Opstal, a second-generation Latina, is the Executive Pastor at Grace and Peace Community on the west-side of Chicago. She is a liturgist and activist who is passionate about re-imagining worship that mobilizes for reconciliation and justice. In her fifteen years with InterVarsity Christian Fellowship, Sandra mobilized thousands of college students for God’s mission of reconciliation and justice in the world. Sandra served as Director of Worship for the Urbana Missions Conference, Chicago Urban Program Director, Latino National Leadership Team (LaFe), and Northwestern University Team leader (Multiethnic fellowship). Sandra’s influence has also reached many others through her leadership and preaching on topics such of justice, poverty, racism, racial identity, reconciliation, and global mission. She has been featured at Wheaton College, North Park University, The Justice Conference, Evangelical Covenant conferences, Willow Creek Association conferences, and various churches. Sandra serves as a board member for Evangelicals for Justice and the Christian Community Development Association. Sandra is also the Worship Director for the Lausanne Younger Leaders Gathering in Jarkarta, Summer 2016. In addition to her ministry experience, Sandra holds a Masters of Divinity from Trinity Evangelical Divinity School in Illinois and has been published in multiple journals. She has authored Small Group Leader’s Handbook, God’s Graffiti Devotional, The Mission of Worship and The Next Worship.